Camille and Angela aren't the central players on Bones. But they are still vital characters on the show. Brennan doesn't seem to want Bones to fire his weapon. We love the banter between these two. 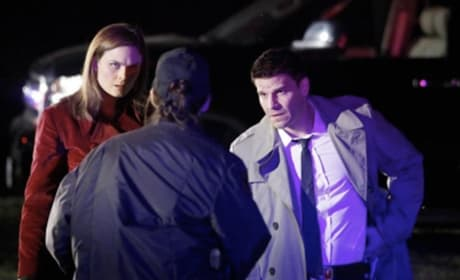 Brennan and Booth are on the case! And some bad guy is gonna pay! Just put on the glasses, Booth! Brennan tries to change her partner's fashion habits. Yech. 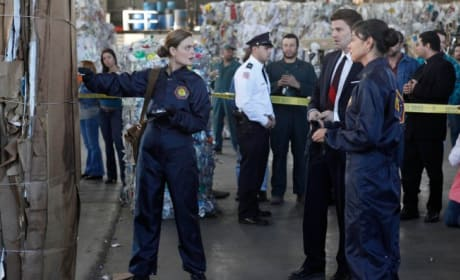 Brennan and Camille stand over a disgusting dead body. Brennan leads the team during this investigation. Booth and Camille look on. Brennan and Bones have a serious talk in this episode of Bones. It's a scene from "The Cinderella in the Cardboard." 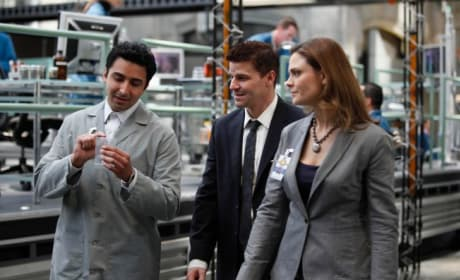 Brennan and Camille are hard at work in this scene from Bones. Important, gross work, that is. Monique Coleman guest stars on the March 19, 2009 episode of Bones. She plays a pregnant high school student.